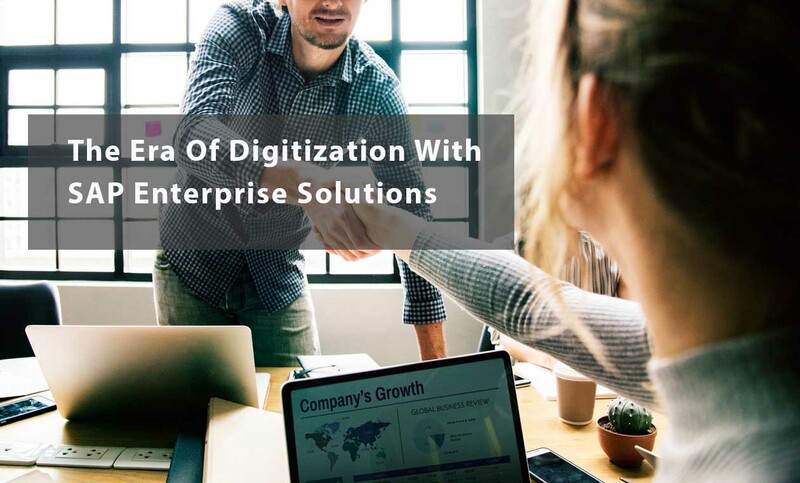 In this digital era, SAP solution could play a vital role in improving ROI for enterprises implementing SAP services effectively for a business process with respect to functional and technical service requirements. There exist no efficient and reliable technique that enables the seamless communication and consistent data flow across all the business facets. Be it asset management, production, planning, operations, financial spreadsheets or personnel, all of them are managed separately and that’s the reason, the transfer of the data across various sub-systems was extremely taxing. The unavailability of the software that runs various facets integrally impact the business productivity, increase the cost of operations, leads to expensive maintenance and poor customer experience. Thankfully, with SAP to the rescue, which offers businesses a platform in the form of enterprise resource planning (ERP) software where all the facets of the businesses are integrated and can deal cross-functionally without discrepancy. Nowadays, a wide range of SAP services help with significant market penetration offers the myriad of the resources and tools that have created wonders like super-secret James bond gadgets for distinct sizes and types of the businesses. Many times, the ERP implementations focused on cost, but marching down the ROI road won’t bring innovation, cutting-edge transformation and forward-thinking to the businesses. That’s where the role of SAP consultants or vendors is vital which presents the best solution with a great understanding of business strategy, value proposition, competitive pressure and how to implement SAP. 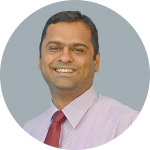 Prismetrics’ SAP consultants take pride in offering strategic ERP implementation leveraging SAP’s rarely used techniques and tools in order to bring business success in the form of improving customer acquisition, cementing customer retention, and uplifting revenue generation. The wide range of SAP services such as technical services, functional services, implementation, SAP HCM services, SAP HANA, SAP S4 HANA, Fiori and UI5, and business solution are offered to reduce overheads, remove inefficiencies, increase profitability, streamline operations and eliminate errors from the business processes to ensure a howling success. Employing SAP BI & BO solution, the door for clear information and rich insights get opened where the information is easily available to make the data-driven decisions. Regardless of database platform complexity, the SAP solution allows the businesses to create the ad-hoc queries and manage the data analysis that helps in getting deeper insights. It makes the strategy formulation a piece of cake. Plus, with SAP business planning and consolidation software, the businesses are powered with planning, budgeting, forecasting, and financial consolidation capabilities, which enables the precise business strategy creation in a short duration with a great collaboration that leads to robust execution of the business plan which improves the results. Secondly, the latest SAP S/4HANA brought unparalleled simplicity to management and administration in the package that makes it easy to learn, which means less time and dollars investment. Most of the SAP software is SaaS model that enable businesses to benefit from the cloud computing. It makes the software easy to deploy and adopt without making any additional investment in IT infrastructure. Besides, no IT data center management, no maintenance, and no support team involved, which dramatically reduces the cost. The groundbreaking data and platform consolidation technology of SAP HANA plays an important role for the businesses to stay dynamic with the evolving customers’ needs. The in-memory platform is optimized to perform both transaction and analytic query processing that makes the platform capable of performing complex analytical operations instantly. Therefore, it serves as a foundation for the businesses to respond in the real-time by realizing the full potential of the data. Additionally, some businesses have diverse data types that cannot be described with relational models and needs distinct data management technologies. For such businesses, SAP HANA provides built-in multimodel support which helps organizations in storing complex data structures such as the document, spatial, graph, text, and time series data. When it is coupled with built-in advanced analytics, such as text mining, spatial analysis, predictive analytics, and machine learning, the businesses can take decisions within moments with a single data management platform. Certainly, using the live real-time data to make the decisions for the processes that are already executing in the applications bring business innovation that gives a competitive edge to the businesses and increases the likelihood of improved bottom line. For steering the business in the right direction, it’s essential to assess the expected outcomes from the strategies to be employed in the future. With SAP predictive analytics product, anticipating the future outcomes is feasible using predictive and machine learning algorithms. The SAP solution improves the visibility into the data and provides precise predictive results with data preparation automation before building the predictive models. The predictive models can be built automatically for every data mining function that gives a competitive advantage to the businesses. The ability of SAP HANA to connect the unstructured sources makes it useful to connect the operations of various levels. Several solutions to a single problem with the graphical representation of the predictive models help the businesses in analyzing the best option when the real-time updations are made to the models. The predictive analysis informs the businesses about the end-results that new strategy they are planning to implement or new upgrades to make will bring, which in turn, upsurge the probability of getting success. With the integration of business systems and SAP software, the gap between disparate systems can be bridged and they can communicate with each other that helps in removing the bottlenecks and repetitive tasks from the processes that ultimately improve the business productivity. Also, through SAP process automation, the tedious and time-consuming operations, and error-prone manual data entry can be eliminated which as a result free up the IT resources from the inefficient work and empower them to spend the time on strategic tasks that improve data accuracy and make employees experience less burnout. Under the measurable result, the employees’ productivity gets increased in addition to a large sum of dollars as revenue. Taking a step forward, along with process automation, the creation, distribution, and management of the business documents can also be automated across different departments. This removes unnecessary administration, prevent human errors, improve the information visibility and enable decision making in a couple of seconds. The automation of everyday business documentation adds up to the business productivity. It won’t be an overstatement to say that in this digital era, the user experience drives the organization and a key factor that impacts business ROI. It all depends on a bespoke user interface that syncs with modern customer design needs. TheSAP enterprise Solution- SAP Fiori & UI5 has all the characteristics that enable intuitive UI development which offers simpler and consistent experience to the customers on both desktop and mobile. The services with SAP Fiori mirrors familiar experience that customer expects in the UI like- consistent design cues that cut down the learning curve augment the customer experience. The mobile-optimization of easy-to-navigate screens allow the customers to find what they are looking for and respond immediately. Plus, the brilliant performance on the mobile and easy accessibility enabled the Fiori garnered huge applause from the customers. Due to simple role-based screens, the need for training the employees to use SAP is eliminated, which is a big saving for the businesses. SAP provides the broad spectrum of SAP Mobility solutions that have witnessed the unprecedented growth globally which they truly deserve. They meet the distinct business needs and central to the businesses in reducing the processes complexity and responding radically in the changing environment. 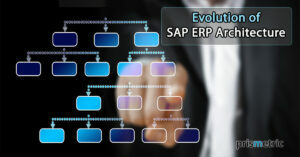 The myriad of the options muddies the water and narrow down the choice for the required SAP solutions become difficult. Definitely, it’s crucial to implement the right SAP services in the business landscape to realize its full potential with improved ROI. In order to enjoy the direct benefits of the SAP services that are the best fit for your organization, get connected with SAP consultants that deliver the best consulting services relentlessly with a conducive and 360-degree understanding of the business needs and SAP services.